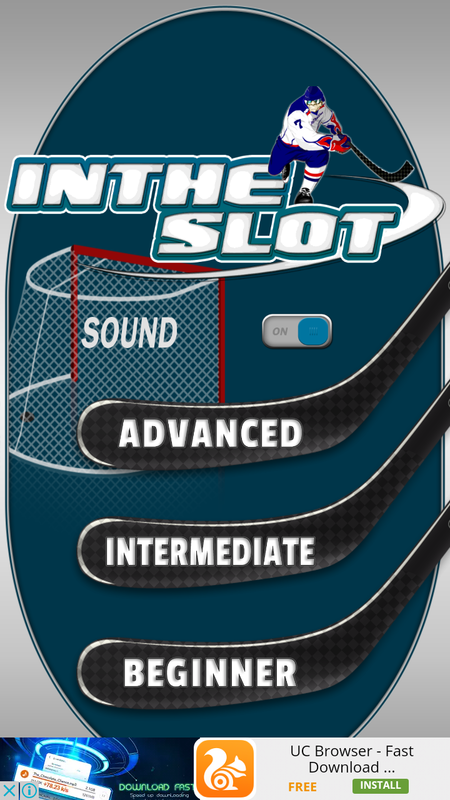 It’s now time to hit the ice with the latest hockey game app available In the Slot delivers an entertaining style hockey game that is easy to play, and hard to put down. 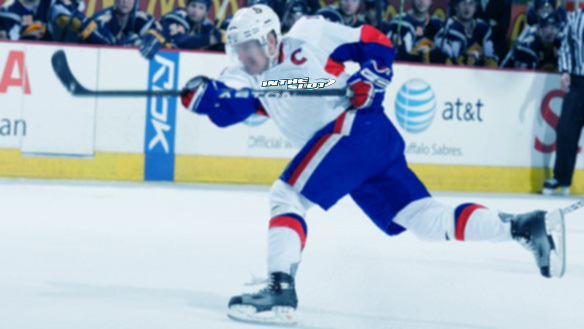 As the offensive player you get to use your offensive creativity against the computer opponent to score big goals by using fast moves to get around the defence, so you can rip a slap shot on goal and score. This game is ideal for anyone. Play on your own and rack up as many goals as you can or play with two people. Make up some 7 game series like the pros and see who can be the champ. Either way, play your way to being an In the Slot All Star. 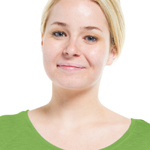 Start out as a rookie in the beginner category. Once you dominate that level make a move into the intermediate and advanced modes. Rack up as many goals as you can and get to the top of our leader board. Monthly prizes will be given to top scorers each month. 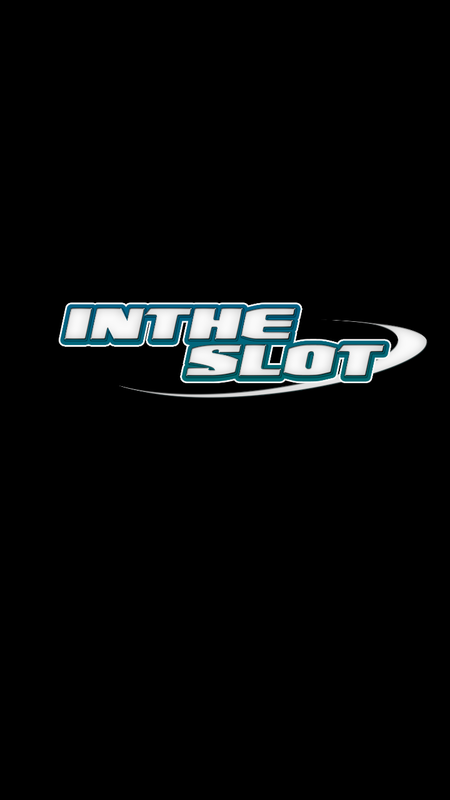 Become a legend in this game and one day be part of our In the Slot Hall of Fame. This game can be played alone or with another player. The user(s) are always the offensive player(s). If you are playing with two players, you and your opponent can take turns controlling the offense. One player can be the home team, and the other the visitors. The player starts at the bottom left hand corner for the Home side or at the bottom right hand corner for the Visitors side. The object of the game is to maneuver your offensive player (the light blue highlighted player) through the game controlled defense consisting of four (4) defensive players and score a goal. Take your best shot on goal without bumping into one of the defensive players. 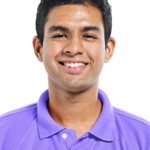 ONE PLAYER: The object of the game is to score as many goals before the end of the game. You will be the offensive player for both the home and visitors side, and will play against the game controlled defensive player. The total number of goals for both the home and visitors side will be your total game score. TWO PLAYER: The object is to out-score your opponent. The two players choose if they are going to be the Home or Visitors. Hand over the control to the other player after each change in possession from Home to Visitors. Whoever scores the most amount of goals for their side is the winner. However, the total number of goals you both score will act as your final game score. START OF THE GAME: You can choose the level of play you would like. You can choose between Advanced, Intermediate or Beginner. As a new player it is recommended to start at Beginner and work your way up to the Advanced mode. GAME LENGTH: The game consists of 3 simulated 20 minute periods. Each period will begin with a notice of the period, and a 3 second countdown will begin before the clock starts. Each period will end with the end of period buzzer. DIRECTIONAL KEYS: The directional keys are how you move around the offensive area. The offensive player for each side will start in one of the respected bottom corners and can move in any of the four directions but cannot move diagonal. 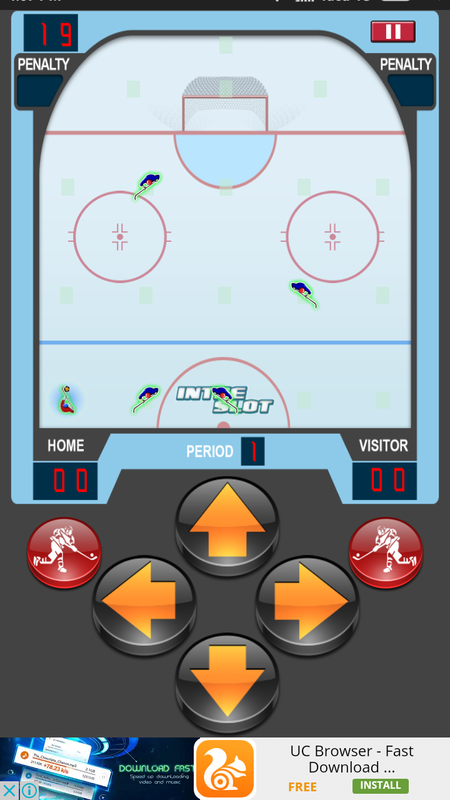 The offensive rink surface has indicators to where your next move can be. There are 18 positions on the rink that you can move to. The offensive player can move to any position not occupied by a defensive player. The offensive player maintains possession of the puck on their stick until you take a shot. However, you cannot stand still for more than 2 game seconds as standing still will result in the puck leaving the stick and you will have to retrieve it before a defensive player does. 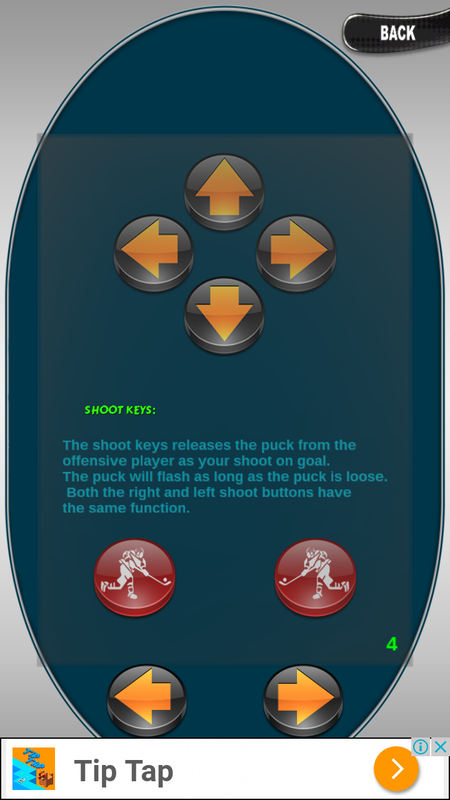 SHOOT KEYS: The shoot keys releases the puck from the offensive player as your shoot on goal. The puck will flash as long as the puck is loose. Both the right and left shoot buttons have the same function. POSSESSION OF THE PUCK: Once you have possession of the puck you maintain it until you either score a goal, or turnover possession. If you do not move the offensive player for more than 2 game minutes this will result in the puck coming off your stick. This may result in the defensive players capturing control and you will lose possession. When you lose possession, the play stops and the opposing side will now have possession, and the offensive player will appear in the opposing start position. PENALTY: When the offensive player bumps into a defensive player once during a possession you will get a warning whistle and your offensive player will begin again at the starting position. 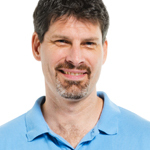 If the offensive player bumps a defensive player a second time on the same possession it will cause a penalty, and a stoppage in play will result. The opposing offensive player will now have possession, and will be on the power-play. The offensive player will now play against one less defensive player. The penalty is indicated by a player in the penalty box. The power-play will either end after 2 game minutes, a goal or a loss of possession. Take advantage of your opponent’s penalty. SCORE BOARD: There is a score board at the bottom for both the Home and Visitors side. The scoreboard will indicate the amount of goals scored during the game for each side. CLOCK: The time clock is a simulated twenty (20) minute hockey period. The period begins at 20 and ends at 0. PAUSE: You can pause the game at anytime. The pause button is located at the top right hand corner. The pause button also allows you to restart the game, or return to the main menu. 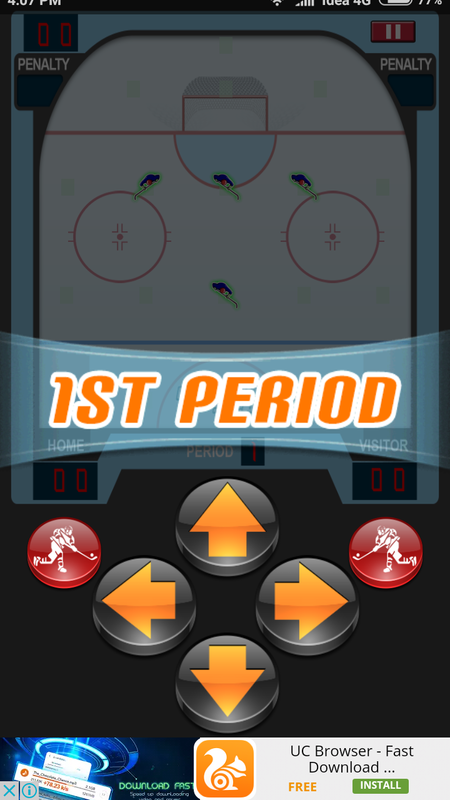 SCORING: When the player feels they are in a positon to score one of the shoot buttons should be pressed. Your best position is in front of the net. If you score the goal buzzer will sound and the “Goal” sign will appear on your screen. After a goal the offensive possession now moves to the next player. If the puck is shot and it does not result in a goal the puck will move freely until the offensive player recaptures it, or one of the defensive players obtains control. If the defensive player obtains control then the players turn ends, and offensive possession will move to the next player. END OF GAME: The game ends after the third (3rd) period. At the end of the game it will say “GAME OVER” and your final scored will be displayed. 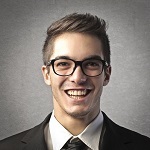 STRATEGY: The strategy of the game is to get in close to shoot. Sneak around behind the net and go for short shots from the left and right positions directly in front of the net when there is no defender in that position. Long shots are generally intercepted by the defensive players. Try to continually move around the offensive area to draw the defense away from the key scoring positions around the net. Do not stand still too long. 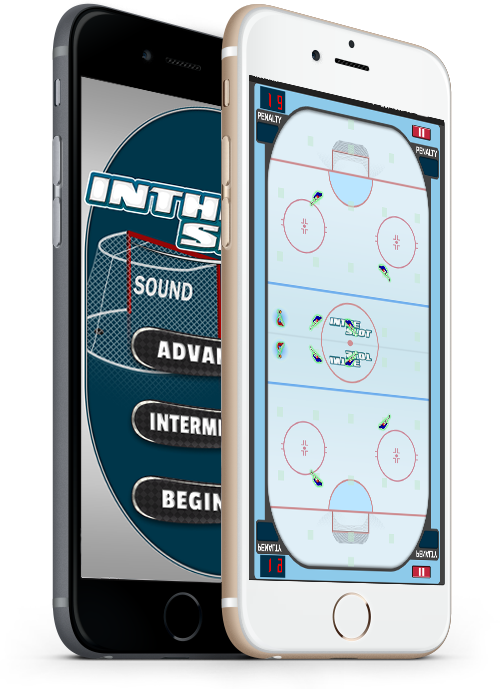 If you stand still for more than 2 (two game minutes) the puck will leave your possesion, and will then have a chance to be intercepted. If you get trapped against the boards wait a little bit to see if the defensive player gives you some space to move.